It was not really about the dragonosaurus it was mostly about a cow. I liked this book because Joe cares about helpless animals. Abbey liked the charecter Joe in this book, she liked how he was kind and wanted to help the baby cow. This book is very good and interesting book. I would recommend this book to people who like having pets. I love this book, it is easy and quick to read and I thought it was funny. 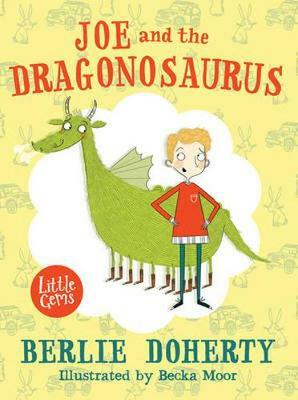 I really enjoyed this book but I would rate this ages 3-8 as it is not worded for older children aged 9 or over. Although, this is a very good book because it is funny but I was always on edge and wanted to read more. All the characters were different in there own way and that is why I think it is an amazing book to read and listen to. I also liked all the pictures because they were all eye catching! I like this book very much. It was very funny. This book has a lot of drama! The main Character is Joe who is an ordinary Primary school boy. He falls in to a lot of trouble. But I won't give any spoilers!!! The story was a bit complicated for me but i liked the character Joe,he was kind to the calf. I liked this book because it was imaginative. you should read this book because it teaches you to save animals lives. I would tell others to read this book because it involves a tiny cow calf .Also the calf would have died but joe rescued the calf.